Every company has a philosophy. They focus on money, efficiency, social responsibility, employee training or some combination of these and many other values. At Custom Concrete Contracting, our main philosophy is person-focused. We aim to support our employees, treating them like family while training them to succeed as individuals and as concrete installers and finishers. Learn more: How CCC helps people earn $60,000 per year. When our team members commit to working for CCC, we commit to working for them, too — providing them with the on-the-job training they need to learn additional skills, advance their careers and better support their families. We also like to promote from within. You’ll find that most of our top positions are filled by people who have worked their way up through the concrete industry here at CCC. First, we believe that supporting our team members in family-wage work is the right thing to do. It’s important that Custom Concrete treats its people well. 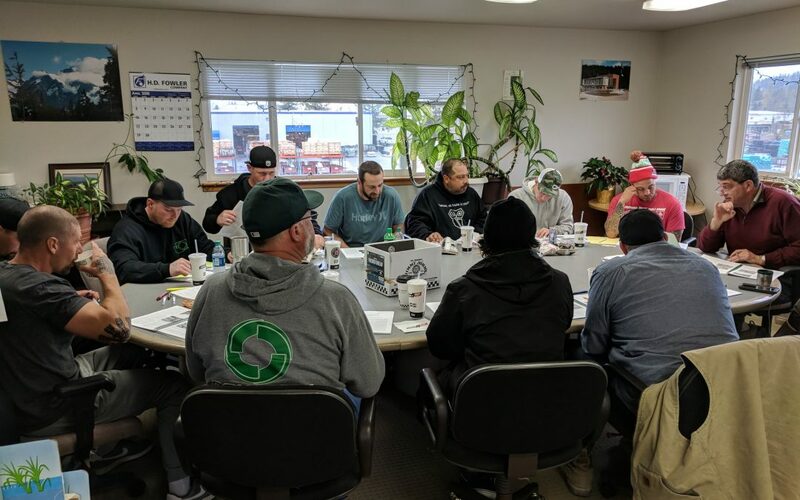 Second, we believe that treating our employees well ultimately results in a higher-quality finished product for our Bellingham, Skagit and Whatcom concrete customers. It’s important that Custom Concrete is known as a place that consistently delivers top-quality work. We’ve been installing concrete the right way for 20 years now, and we have many years to go. Third, we believe that the trades offer meaningful, valuable work that not only offers a huge benefit to society — just think of how much human-built infrastructure we rely on every single day — but that offers a benefit to individuals, too. There is value in hard work, in producing something worthwhile and in enjoying the camaraderie of teamwork along the way. We have a goal at CCC of helping people make a career of concrete. Learn more: Five reasons to consider a career in the trades. If you’ve been looking for a meaningful career with an employer that supports and is committed to its team members, Custom Concrete Contracting might be the place for you. 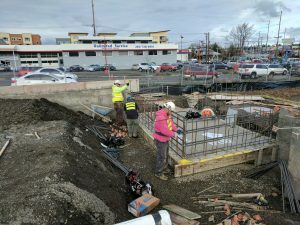 Our expert concrete installers work throughout Whatcom and Skagit counties to create stellar concrete products — pervious concrete sidewalks, stamped and colored roundabouts, solid concrete foundations, expertly broom-finished driveways and so much more — and we’re currently expanding our team. Contact us to learn more or visit http://www.customconcrete.biz/careers/.